FHA Approved! Open weekends 10-2pm! This home is ready for you to move in!!!! 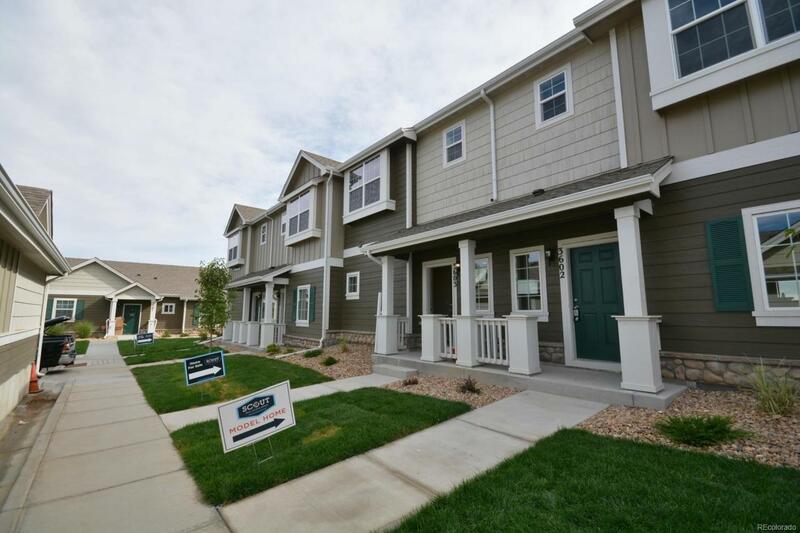 Brand new townhome/condo with private fenced outdoor space and patio. Excellent location walking distance to shopping and dining, close to highways and the airport. Move-in before Winter sets in with a one-car garage right next to the home. Functional open floor plan with warm finishes that include fireplace, granite counter-tops, brushed nickel lighting and plumbing fixtures, 90% efficient furnace, central AC. Taxes are estimated due to new construction. Ask about incentives! Offered by Scout Real Estate Group. Association Name Primary Aspen Hills Owners Association Inc.